If you have thinning lips or severe lines around your lips, consider lip injections. 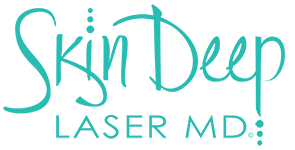 Dr. Riehm at Skin Deep Laser MD in Fort Worth, Texas, provides dermal filler injections to add shape, structure, and volume to your mouth. Call her office or book online to learn more about how you can get a more refined look and enhance your confidence with lip injections. As you age, your lips naturally lose volume. Lip injections are used to achieve fuller, plumper lips as well as reduce fine lines around the mouth area. Dermal fillers are usually used to create lips with more structure and shape. At Skin Deep Laser MD, Dr. Riehm offers Juvéderm® as well as other dermal fillers to plump your lips and reduce the lines around the mouth known as smoker’s lines. Juvéderm is a dermal filler that uses hyaluronic acid to promote volume and shape. Hyaluronic acid is naturally produced by your body, but production slows down as you age. As a result, your lips may thin and become lined. By injecting the hyaluronic acid compound into your lips, you get improvements in their volume, structure, and shape. What are the benefits of hyaluronic acid fillers for the lips? The results of hyaluronic acid fillers are smooth, and any bumps or lumps dissolve easily, giving you a natural appearance. Longevity of filler in the lips varies depending on which product is used. The results of Juvederm last four to six months. Vollure and Versa can last nine to twelve months. After that, you can receive additional treatments to maintain your look. Dr. Riehm can put together a treatment schedule for you so your look stays consistent. What are the side effects of lip injections? You may have mild bruising, swelling, or redness at the injection sites immediately after treatment. These side effects last just a few days and then subside. The injections have been proven safe through multiple studies. To learn how lip injections can enhance your appearance and make you look younger, call Skin Deep Laser MD or book an appointment using the online agent.